Learning how to spot and critique flaws is the single most important skill that you need to develop in order to succeed on the LSAT logical reasoning section. We are all good at spotting and critiquing flaws in real life. With LSAT flaws, however, we are not talking about your ex’s habit of leaving dishes around your apartment or anything like that. LSAT flaws are very specific. When the LSAT tells you something is flawed, that means there is an error in the reasoning. What does it mean to say that there is an error in the reasoning? All arguments have at least one premise and one conclusion. Premises offer support for the conclusion, or at least that’s how it’s supposed to work. In a flawed argument, however, the premises don’t give adequate support for the conclusion. On the LSAT, the term “flaw” describes the relationship between the conclusion and its premises (the support). If you aren’t focused closely enough on that connection between the premises and the conclusion, you’re going to have a tough time tackling these questions. In this free LSAT flaw lesson, we’ll teach you how to have laser-focus as you hone in on flawed logical reasoning. Need more help? We’re here for ya. 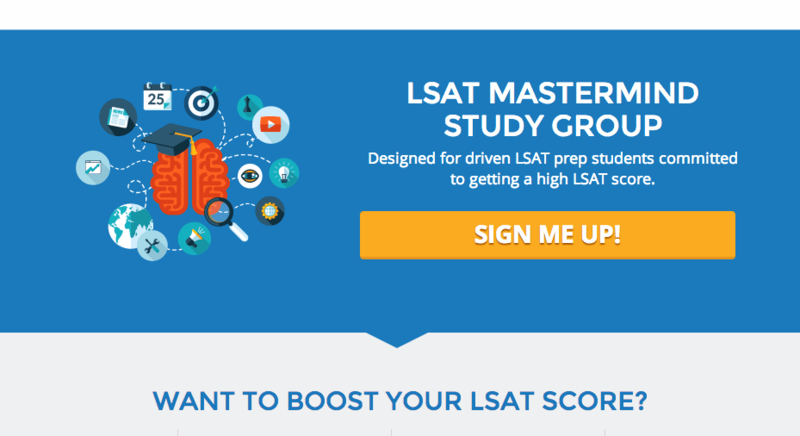 Join the LSAT Mastermind Group for 100+ lessons, private forums, weekly live office hours sessions with Josh & Even, and tons of support. Watson: Holmes was unable to prove that Ms. Carruthers was killed by arsenic. Nor was he able to prove that she was killed by ingesting death cap mushrooms. Hence, Holmes was unable to prove that Ms. Carruthers death was due to arsenic or death caps. This is a tricky one. Can you see the flaw? What did Watson fail to consider? Well, what about the possibility that Holmes eliminated every other potential cause of death save arsenic poisoning or death caps? Watson missed that in reaching his conclusion. If Holmes eliminated everything else, we could accurately say that Holmes proved the death was caused by arsenic or death caps, even if he didn’t know exactly which of the two did her in. (Wikipedia informs me that they have similar symptoms, by the way). Now, it might be true that Holmes was indeed unable to prove that Ms. Carruthers death was due to arsenic or death caps, but from the evidence given (these premises), we can’t know for sure one way or the other. Maybe he proved it was just these two things, maybe he didn’t. What we do know, however, is that these premises don’t support this conclusion. That brings us to one of the most important things to understand about LSAT flaws: whether the conclusion or the premises are actually true or not has nothing to do with whether the argument is flawed. Let’s look at that in more detail. Premise 1: If you can fly, then you are a bird. Premise 2: President Obama can fly. Conclusion 3: President Obama is a bird. But wait, you might say, that’s clearly wrong. We all know in real life that President Obama is not a bird. It doesn’t affect the validity of the argument, which makes no errors in reasoning. If these premises were true, then this conclusion must be true as well. 12. George Constanza, Marine Biologist: A squid is a kind of whale. Which best describes why Constanza is wrong? (A) A squid is actually a cephalopod, not a whale, which is a mammal. Questions like this would turn the LSAT into a test of knowledge, which it is not. This is a related point. Just as the actual truth doesn’t matter, your opinion doesn’t matter at all. This is not an internet comments thread. Focus on the flaw, not whether you agree with the content or not. Politician: Abstinence pledges have been succesful in reducing teen pregnancies. A recent survey of teens nationwide showed that the overwhelming majority of teens who have taken such a pledge have not become pregnant, whereas almost all who became pregnant report making no such pledge. You might have strong feelings on abstinence pledges. You might think they are a terrific idea for reducing teen pregnancy. You might find them vaguely unsettling. You might strenuously object to them as an unacceptable trespass on personal autonomy. None of that matters as to understanding why this argument is flawed. Rather, the argument is flawed because it is making a classic error of reasoning, one you’ll see over and over again on LSAT– that of thinking that correlation equals causation. Maybe the abstinence pledges have been successful in reducing teen pregnancy. Maybe, on the other hand, it’s just that kids who were already going to avoid pregnancy anyway took pledges. Whatever your opinion is and whatever the truth is, it doesn’t change the fact that the evidence offered here, in this argument, does nothing to support the conclusion. It’s a flawed argument. Do not bring your outside knowledge, assumptions, or opinions with you when you try to solve LSAT flaw questions. It’s just going to lead you to a trap answer. In fact, the LSAT flaw questions have wrong answers designed specifically to catch people who are bringing in outside assumptions, something we’ll look at in more detail in later lessons. For now, remember two things: forget about the actual truth, and forget about your opinion. All we need is your reasoning skills. To further develop those, let’s wade into some theory of argumentation. Other LSAT prep companies squirm away from giving you any theoretical grounding in arguments. I say that you all have gone to college and you can handle it. It can deepen your understanding and prevent you from merely applying mechanical strategies when you should be thinking. This is a little whirlwind tour to start us off. Broadly, there are two main types of arguments you’ll encounter on the LSAT, deductive and inductive. Premise: If a melon is a fruit, then it has seeds. Premise: A melon is a fruit. Inference/Conclusion: Therefore a melon has seeds. A deductive argument is an argument where the premises give complete support for the conclusion. This is a matter of the form of the argument, not the content. Like the Obama argument above, valid deductive arguments need not actually be true in real life in order to be valid. The thing to remember about deductive arguments: if the premises are true, the conclusion must be true as well. There are only a relative handful of valid forms of deductive argumentation, so it’s not too difficult to be familiar with them all. Head to the conditional logic webinar to see them all. However, there are bunch of ways to make an incorrect, or invalid, deductive argument. LSAT flaws commonly try to make an argument look like it’s following valid deductive logic, but actually there is an invalid move in there somewhere. If Ms. Carruthers was poisoned by Death Cap mushrooms, then Dr. Moriarity murdered her. Ms. Carruthers was not killed by death caps, therefore Dr. Moriarity definitely didn’t kill her. It’s an error every time. While you don’t need to be familiar with the name, you do need to be able to see why it’s wrong. Now, the very thoughtful among you might wonder if this can really be called deductive logic anymore, since it is not a good argument. Isn’t it just flawed logic? While you may have a point, it’s being presented as if it’s deductive logic. In the imaginary speaker’s head, they are making a good deductive argument, with a conclusion that calls for absolute support and premises which offer that support . If you are able to recognize that the speaker is are trying to use deductive logic, but failing, can help you spot the flaw more quickly. Here’s why: LSAT flaws repeat themselves over and over again throughout all the preptests. Every time you see one, make sure you get your head completely around it. Make sure that you can see why it’s wrong and can describe the flaw several different ways. That way, next time you run into the same flaw, you see all the contours without much effort. I remember when I was starting to really get them, I would think “oh, I’ve seen this one before,” and it was easy to just pounce on the right answer. Ideally, you’ll come to immediately recognize the structure of deductive reasoning flaws the moment you spot them. This ability will come through study, which is why I encourage you to spend a lot of time mulling these over when you are first learning. Always remember that with these, as with any flaws, it’s not the content of the question that matters, it’s the structure. Though the content varies, the LSAT is always testing the same handful of errors of deductive reasoning. Get a really firm handle on conditional reasoning so you know what a correct argument looks like and you will never have problems with these. Anytime you don’t understand why an argument is flawed, or have trouble seeing at first, let us know in the forum, and we can get things sorted out. Whereas deductive arguments give complete support for the conclusion, inductive arguments are arguments that just give some support for the conclusion. In a good inductive argument, the premises supply as much support for the conclusion as the author claims they do. If the conclusion claims something is likely, then the evidence, if true, better make it likely. If they claim in the conclusion that something is highly likely, the evidence, if true, better make it highly likely. Let’s look at a well-reasoned inductive argument. Premise: Adult orangutans almost always weigh more than 75 lbs. Premise: George is an adult orangutan. Now, unlike with a deductive argument, it’s not totally certain that if these premises are true, the conclusion will be true as well (George might not in fact weigh more than 75 pounds). However, the author just claims that it is “highly likely” that George does indeed weigh more than 75 lbs. Does she back that up? Yes. She establishes that it’s highly likely for an adult orangutan to weigh more than 75 lbs. Since George is an adult orangutan, the same thing that is true of the population as a whole applies to George. If these premises are both true, then she has passed the bar she set and it is indeed highly likely that George weighs more than 75 lbs. It’s a well-reasoned argument. i.e. not flawed. Perhaps unfortunately, you aren’t going to run into very many good inductive arguments on the LSAT. Instead you have to wade through a lot of bad ones that might superficially resemble well-crafted inductive arguments, but are no good. Let’s look at a bogus argument that tries to pass itself off as proper reasoning. Bear in mind that the LSAT writers are clever– these arguments are always going to look like they provide at least some support for the conclusion. It’s your goal to see that they don’t provide enough. Car Dealer: last year, we made an average of 15% profit on all the luxury cars we sold, all of which were priced over 15,000 dollars. On the other hand, we made and average of 25% profit on all our low-end models, which retail for $15,000 or less. Since we can only fit a limited number of cars on the lot, we should just sell low-end cars next year. This would maximize our profits since we should be able to sell as many total units as we sell now. This argument concludes that this dealership, in order to maximize profits next year, should sell only low-end vehicles. That’s a pretty definite conclusion. Does the car dealer back that up? He or she tries to by saying that last year a greater percentage of the sales price of low-end cars was profit, so selling more of those will maximize profits next year. However, the evidence given doesn’t actually tell us anything about which course is better. Why not? The argument fails to consider that a lower percent of profits may still amount to a higher dollar amount of profit per-unit, e.g. 15% of $50,000 (7,500) would be a lot greater profit per car than 25% percent of $15,000 (2,250). Even if his or her premises are taken to be true, the car dealer’s conclusion is no more likely. We would need way more info than we are given to adequately support it. If you can see how the premises don’t live up the promise of the conclusion, you’ve got your head around the argument. You will get the question right. You’ve now been introduced to the two types of flaw arguments: deductive and inductive. Although it might seem like I’ve complicated things by adding this additional step, I’m nevertheless confident that at the end of the day it’s going to benefit you to know exactly why a flaw is a flaw. What I want you to take from this is that there are only a few ways to craft a good argument. There are many more ways to make a flawed argument. Once you move past the errors of deductive reasoning, it may seem at first like there is infinite variety. That, however, is an illusion that will evaporate on closer inspection. The same flaws repeat themselves over and over again, just with different content. Learn to see through all the polish to quickly spot the flaw underneath. If you’d like to see the rest of the lessons in this “LSAT Flaws” series, join our Mastermind Study Group. It’s the best, cheapest way to do guided self-study. Josh and I provide premium lessons, LSAT explanations, live office hours, answer your questions, and more. Join us here. I don’t quite understand why the Watson-Holmes-arsenic-death caps argument is flawed. If Holmes could not prove that her death was caused by arsenic or death caps, then isn’t the conclusion that Holmes was unable to prove that her death was caused by arsenic AND death caps? It was great to stumble upon this post. I think it could also be useful for everyone to know how and where to fill a form online. Just look at the service Charolette. Its pretty easy to use. I’m working towards the upcoming June LSAT and am getting hung up in the workbook on identifying the different types of flawed arguments as presented in the LR Bible. How necessary is it for me to be able to say a flawed argument is a mistaken cause/effect vs. circular reasoning for example, rather than just being able to ID the difference between the Deductive and Inductive flaws present and answering appropriately to the LSAT question? As an added thought, as I attempt these workbook questions I’m seeing different flaws than what the workbooks states are present. For example, question 14 on page 25 of the LR workbook: the book says it should be an uncertain term/interchanges the definition of a word, in this case the word “something.” I believed that more specifically this would be a false dilemma, since the individual casually agreeing with “Richardson” is making the conclusion there is only one course of action that will work. Quick question about the 16-Week-LSAT-Study-Schedule I purchased. Under “assignment” and then “drills” it says, for example, PT 53: 1.1, 9, 10, 22; 3.1, 4,6. Does that mean Practice test 53 that’s in the book, section 1 of that practice test and questions 9, 10 and 22 in them? It confused me because then another drill said PT 53: 1.3, 6, 13, 18, 21. What is the difference in the 1.1 and the 1.3? I was also wondering what the difference between 1.1 and 1.3 is. How important is it to get the newest edition of the recommended books.